Do not attend a funeralif the service details provided a note that the ceremony is private or for family only. The deceased’s obituary, as well as shared information via social media, usually indicates this. You may also contact the service provider such as the funeral home, church, or cemetery for additional details. Do not attend a funeralif the service location is simply geographically, logistically, or feasibly impossible to get to. Consider sending a meaningful floral offering, note, or letter that expresses your sympathy and desire to be there in person. Do not attend a funeralif you feel as though the situation might be too emotionally challenging for you. 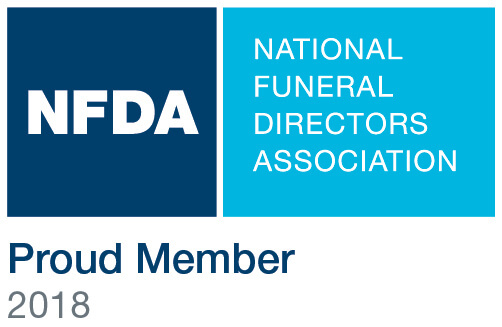 Everyone goes through difficult times and funerals can take an emotional toll on individuals. Waiting to express your sympathies when it is a better time for you is acceptable. Sending a letter to friends or family members of the deceased is a lasting and memorable gesture. Different religious traditions bring with them different funeral rites—and Islam is certainly no exception. With America’s Muslim population growing larger each year, funeral directors across the country are working to ensure proper understanding of, and sensitivity toward, Islamic funeral customs. The Muslim funeral tradition actually starts before death occurs; when death is imminent, it is customary for family members to gather around the dying person in a show of solidarity and kindness, and to encourage the dying person to recite the "shahada"—an Islamic prayer. Islamic custom states that it is important to bury the deceased as quickly as possible—so funeral planning generally commences immediately after death. As for how the body is treated, Islamic custom is a little complex. Routine autopsies are technically forbidden, as they are seen as desecrations of the body, though most Muslims accept organ donation as a way to contribute to the lives of others. Embalming and cosmetology are generally frowned upon, but allowed in the states where such things are legally mandated. Cremation is forbidden by the Muslim faith. In preparing bodies for burial, Muslims wash and shroud the body. Because it is important to bury the body as quickly as possible, there is usually not a viewing before the funeral. The funeral itself consists of a series of prayers, recited with mourners faced toward Mecca. Prayers are also said as the body is buried. Many Muslim families will gather to receive visitors after the funeral and the internment. The Islamic funeral tradition is marked with reverence for the deity and esteem for the physical body—and as such, these services and traditions can be gratifying for the mourners assembled, particularly those who share this faith.